Why google adsense will not approve all the blogs? Google AdSense approve only 1 application of 1000 application. Important because if Google AdSense will approve all the blogs than how get it will maintain the quality of the ads. They have to ensure quality of website. They have to save the interest of the advertisers plus they have to maintain of the quality. 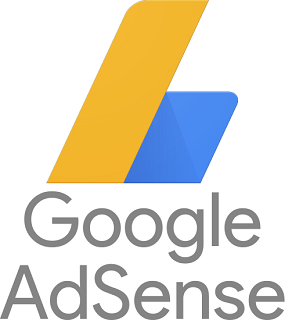 In this post you will learn "how to get approve Google AdSense fast". Then how to get approve Google AdSense very easy and no bane? Then signup for AdSense using admin specific email address. Chances are AdSense accept or reject your application. If they reject don't get worry about that you can reapply that is a link at the bottom to reapply. Because sometimes you know by the human was mistakes when they review your website. Don’t get upset for they said the reason for the rejection because inefficient contend, incompatible contend. Most of the time it's a false. I mean you not writing any topic like your cousin or wydra something like that all topic which you like ban topic you good to go. A new blog also we can apply for the AdSense or have any minimum requirement? Google AdSense says six month time period it is for Indian and china Blogs. But that boggiest. Anyway if you have a good quality of the website giving after 50day 25 days you can apply. Point here is enough contend, well structure content, professionally written content, professionally looking blog and you will get AdSense approval without any chance without any felt most important think, you need to have good design good looking theme. This is very most of the blogger fails they don’t have a design, they have lot of useless widgets on their sidebar, they don’t have recent post, popular post, and they will there side bar with widget like traffic widget, lots of like widgets all those widgets like which are not even required. Whatever put on your blog they should have a purpose very important. Though i am using a blog, still i have not earned any amount. These information will be very useful to me, to connect with google adsense and to earn money. Thank you. I am very pleased to use this site. so that I have benefited greatly from working. Therefore, I want to inform all the updated information on this side,so that we can learn more new things. Thanks for letting me use this super-useful side. It was really useful on behalf of American state. Keep sharing such ideas among the long run equally. This was really what i wont to be probing for, which i'm glad to came here! Thanks for sharing the such knowledge with USA.